The next time you order a latte, ask if the milk is super. Super milk, sometimes called barista milk, has more protein than the regular product, and it is extra fatty and extra creamy. What’s more, it produces a microfoam with an exceptional porcelain sheen -- excellent for latte art. Producers like Straus Family Creamery began making the extra rich milk just in the last year as coffee shops compete for the best tasting cappuccinos. It’s still a fairly underground product. You’re unlikely to find it at the big national chains or a grocery store, but stumble into the right local joint and you could be in for a creamy treat. What makes super milk so special? It comes down to fat. Whole milk typically has a fat content of about 3.25 per cent. The super versions ring in with anywhere from 4 per cent, to the extra lux 5 per cent. At some dairies, getting the extra fat simply means skimming less from the top to make cream or butter. But at others, like Straus, extra cream is added to milk. Super milk can sell at a premium of about 10 per cent to regular whole milk, as demand for higher quality milk in coffee shops increases. It’s a rare bright spot for the US$200 billion U.S. dairy industry, which has been in a self-declared crisis for years. 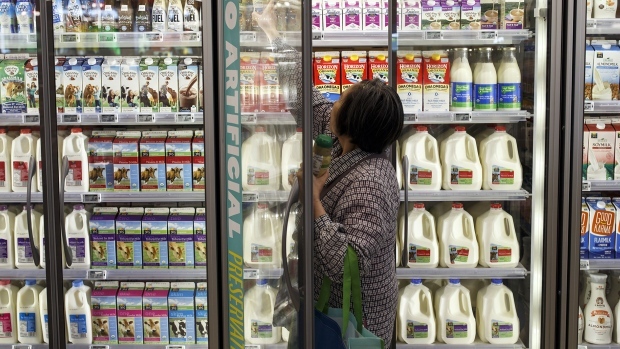 Per capita, people in the U.S. are drinking 40 per cent less milk than in 1975. Output, however, keeps rising. As a result, milk prices are sliding and dairy farmers are failing; Wisconsin alone lost 600 dairy farms in 2018. While independent coffee shops aren’t likely to save the dairy industry anytime soon -- they’re just a slice of overall demand -- they’ve become one of the rare places where milk can still command a spotlight. Before Chicago-based Intelligentsia opened its first Massachusetts cafe in 2017, staff members conducted a milk tasting of four brands, testing them hot, cold and steamed, said Andrew Atkinson, a retail manager who participated. Much like wine connoisseurs, they rolled the liquid around in their mouths and then spat out, determining a clear winner: milk from local dairy MapleLine Farm, which the shop currently uses. In Chicago, Intelligentsia buys high-fat super milk from Kilgus Farmstead in Fairbury, Illinois. The flavors subtly change throughout the year as the cows change their feed from grass in the summer to hay in the winter, Atkinson said. Super milk is now the default option in the shop’s smaller drinks like cappuccinos and macchiatos, he said. Matt Kilgus, who manages Kilgus Farmstead, said that when the company started bottling milk in 2009, it didn’t even know the barista-driven market existed. Today, more than half of the milk from the dairy’s 150 cows goes to coffee shops in the state. And business is still increasing. But just as with most of the dairy industry, super milk has to contend with competition from plant-based alternatives that are dishing out a steady stream of barista varieties. Famously, Oatly, a Swedish company, saw shortages in the U.S. last year after its Barista Edition oat milk caught fire among latte-makers. California-based Califia Farms has three barista milks including almond and oat. They’re formulated to froth and steam, and also can be shelf stable so coffee shops can easily store large quantities, the company says. “It’s more of a steady market,” he said.